The Best of the Best since 1963. 47 years of service. 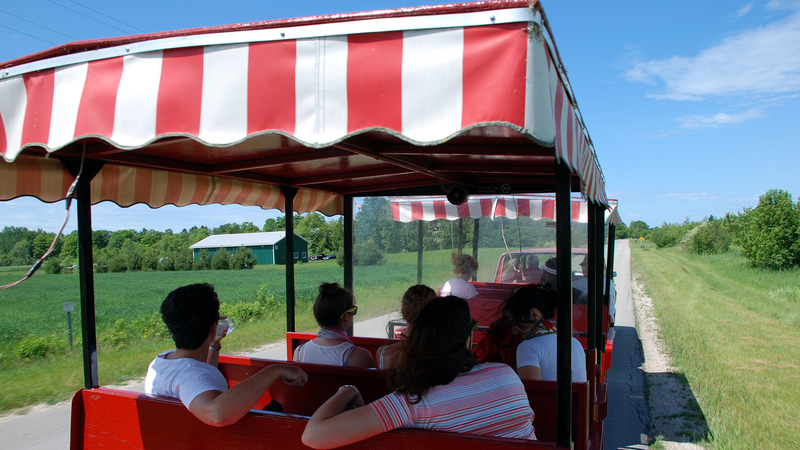 Enjoy our 15 mile, 1 1/2 - 2 hour tour of Washington Island with selected stops along the way. Share the history, folklore and legends of island life with your expert tour guide. 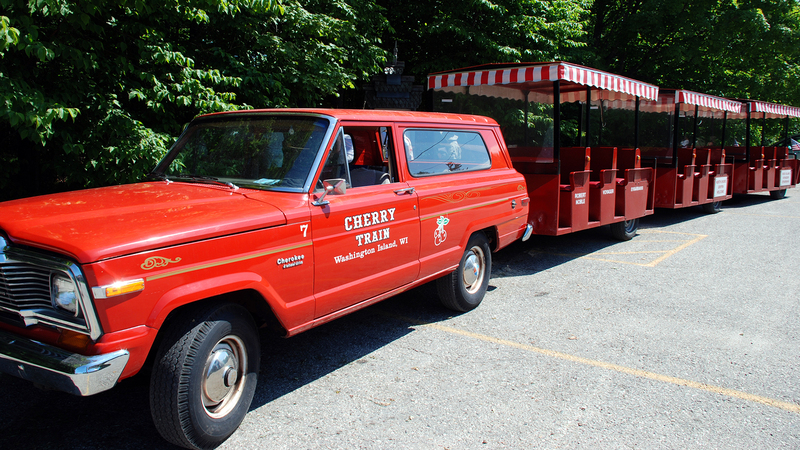 Leave your worries on the mainland, relax and see the Island in grand style..on the one and only Cherry Train! The Original Tour of Washington Island.